Common Wood-Destroying Insects | Carolina Homechek, Inc. When you consider the insects best known for consuming, living in, and destroying wood, termites most often come up as the culprit. Did you know they are not the only wood-destroying insect? You could have other common wood-destroying insects feasting on your home. Treating for termites is not enough to keep other harmful insects under control. Different species of insects might require separate methods to get rid of their colonies They can also affect various areas around your home without you knowing they are there until the damage is severe. While uncommon insects could be living in your home, this short list addresses common wood-destroying insects typically found in all 50 states. Old House Borer is the exception since it is primarily found on the eastern side of the US. Keep in mind you might have even more local pests that are a threat to your home, so consider hiring a professional wood-destroying organism (WDO) inspector to evaluate your home. 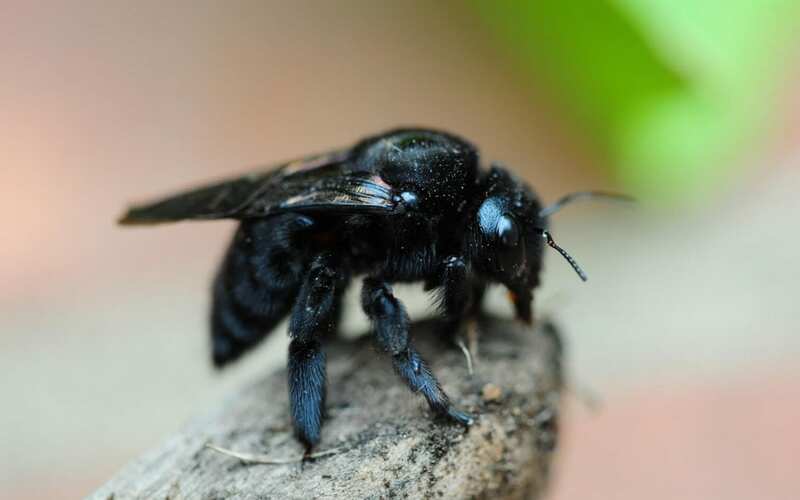 Unlike other insects, you will see carpenter bees during the day. Most people believe they are harmless because they are non-aggressive and pollinators. However, out of the 500 species, certain varieties of carpenter bees are wood-destroying insects. Their damage can range from superficial to minor structural damage. Another threat with nesting carpenter bees is their main predator: the woodpecker. If carpenter bees have nested in your home, the woodpecker will drill holes so they can access and feast on the bee’s larvae, which can lead to further structural damage. Contrary to the name, this species of beetle larvae bores into fresh pine, spruce, and other coniferous woods. New homeowners, especially for new construction homes, might believe they are safe from common wood-destroying insects. With the Old House Borer, this is not the case, since the infestations often begin in newly cut wood that’s stacked in lumberyards. They have a long lifespan with a particularly long larvae period of 10 to 15 years. Like the unrelated Old House Borer, the Powder Post Beetle lives in dead wood. This includes house framing and floors, but also extends to books, furniture, toys, and even wooden handles. You are unlikely to know they are in your home until the larvae cycles into adulthood and emerges. At this point, they leave behind a powdery substance that lends this species its name. If you have found evidence or suspect that one of these common wood destroying insects inhabits your home, you should first seek professional advice. This will stop you from using harmful pesticides that might not work, or worse, you might use the wrong pesticides. Hiring a WDO inspector is a great idea whether you own a newly constructed home or an older one. These experts can detect the signs of uncommon and common wood-destroying insects that the average person might not see or overlook. Before purchasing or selling your home, it is also good practice to consult with a WDO inspector. Carolina Homechek provides WDO inspections and other types of inspection services for Charlotte, NC and the surrounding areas. Contact us to book an appointment.